Meet the 15 Year Old Who Is Rallying People Across the World to Stand Up and Fight Climate Change! Greta Thunberg should be an inspiration to us all. This 15-year-old girl from Sweden was so frustrated by both the hottest summer Sweden has ever experienced, and the fact that nobody in power seemed to truly care about her future, that she decided to strike. 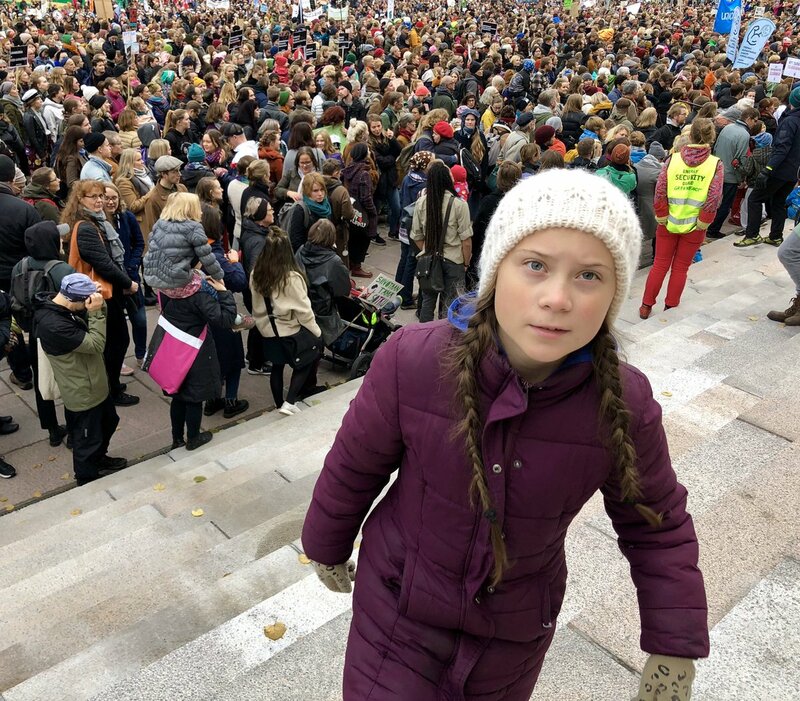 Greta refused to go to school until Sweden’s general election on September 9th, hoping to draw attention to the climate crisis. Since then, she and many others across Sweden have been attending school Monday to Thursday, and striking on Friday, determined to keep protesting until they are heard. Sweden actually has one of the most progressive climate legislations in the world. They are adopting policies that aim to make Sweden the first fossil-fuel free country in the world. But there was so little climate discussion in the politics spoken about in the lead up to the elections, despite forest fires and the heatwave over the summer, that Greta felt she had to do something to raise awareness. Greta has been sitting on the steps of the parliament building in Stockholm every day during school hours for coming up on a month now. She was brought up in an environmentally-conscious household, taught to conserve water, turn off lights, and not waste food. She has been researching climate change on her own for more than six years now, and the apparent lack of interest by the adults who are responsible for her future has made Greta want to take a stand. If you’re inspired to take a stand for the environment, there are many incredible things you can start TODAY! Recycling, conserving energy, and using public transportation are wonderful things to do, but by and large the biggest way you can lower your personal carbon footprint is by cutting meat and dairy from your diet. By eating plant-based, you can literally halve your carbon footprint, save 200,000 gallons of water, and help redirect thousands of tons of grain for human consumption over livestock. To learn more about the environmental impact of our food choices and how to make a difference, check out the Eat For The Planet book! Poor misinformed indoctrinated young lady. Sweden is doomed because of the Muslim invaders. I hope this little girl has secure protection.